Detroit, Michigan, USA (March 26, 2019) BTN — Multiple law enforcement agencies, including the FBI and the DEA, are executing raids at a number of homes and businesses in the Detroit area Tuesday. 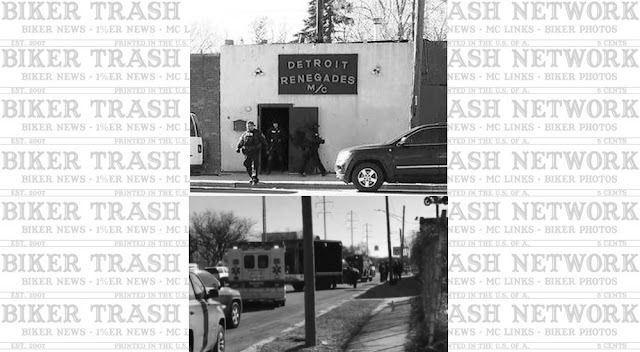 Federal agents were going in and out of the Detroit Renegades Motorcycle Club, mid-morning. Michigan State Police also blocked two lanes of eastbound 8 Mile during the raid. The FBI confirmed to that a task force of federal, state, and other local law enforcement agencies are serving warrants at multiple locations throughout the area, including the Detroit Renegades Motorcycle club. Law enforcement at the club were wearing 'violent gang task force' jackets. One officer was spotted carrying bolt cutters inside and police were searching through documents inside the club and on the roof of the building. Further details were not provided and the FBI did not say what other locations were being searched. This story is developing. 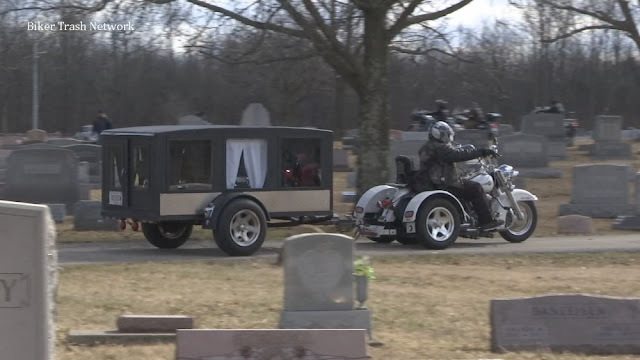 Check the Biker Trash Network for more updates.